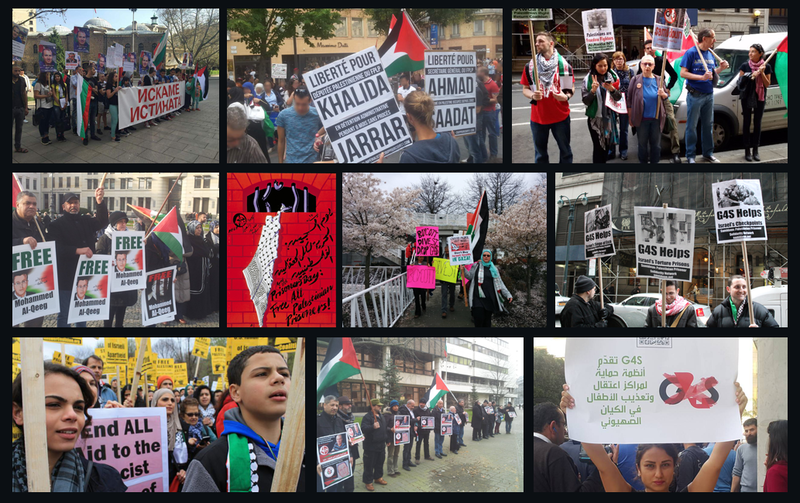 On Friday evening, 19 January, activists in Copenhagen gathered to call for the freedom of all Palestinian political prisoners, highlighting the cases of Ahmad Sa’adat, Ahed Tamimi and Khalida Jarrar. The event, organized by the Internationalt Forum Middle East Group, included the screening of several films and videos about Palestinian political prisoners, including 16-year-old teen activist Ahed, Palestinian legislator and feminist Jarrar and PFLP General Secretary and Palestinian national leader Sa’adat. Participants at the Solidarity House also wrote letters of solidarity and birthday greetings to Ahed Tamimi, who will reach her 17th birthday on 31 January behind Israeli bars. She will be brought before the military court on that day as well, accused of an array of charges brought against her after she slapped an occupying Israeli soldier on her family’s land in her home village of Nabi Saleh in December. Ahed and her family are leaders in the anti-colonial land defense movement in the village, which has faced land confiscation, attacks and even the theft of their spring from the illegal Israeli settlement of Halamish. Participants then marched through the streets of the Copenhagen neighborhood of Nørrebro by torchlight, carrying signs highlighting Ahed Tamimi, Khalida Jarrar and Ahmad Sa’adat. They chanted slogans for the freedom of the prisoners and called for the boycott of Israel and a free Palestine. Jarrar was ordered at the beginning of January to another six months of imprisonment without charge or trial under administrative detention; she has been imprisoned since July by Israeli occupation forces. This week also marks the 16th anniversary of Sa’adat’s detention by the Palestinian Authority security forces in 2001 in a deceptive scheme; he and his comrades would go on to be imprisoned for nearly four years in a PA prison under US and British guard. In 2006, following reports that PA elections could be followed by the release of the prominent political prisoners, Israeli occupation forces violently attacked the Jericho prison with the complicity of the US and British guards; they seized Sa’adat and his comrades, all of whom today are imprisoned in Israeli jails. Samidoun: Solidarity with Ayşe Düzkan - drop the charges and dismiss the imprisonment order!